Sorry folks I forgot to mention a couple weeks back that I was going on a sabbatical and by sabbatical I mean, being holed up in my bed with a nasty cold and early birthday celebrating in Las Vegas with some of my besties. The trip was planned, the cold was not. Wren and I spent 4 days in Las Vegas with some of our favorite friends, celebrating our birthdays and torturing our bodies. I even got a surprise visit from my little sister Lena! 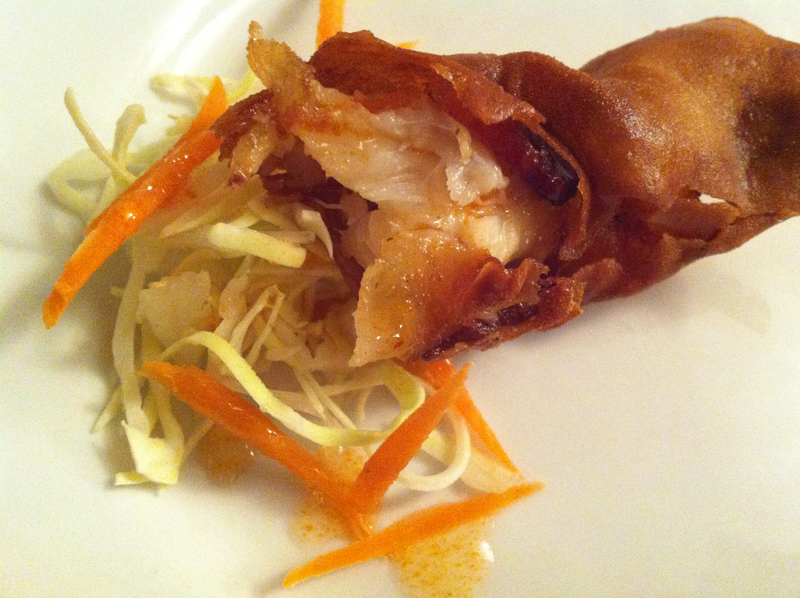 Koong Sarong (Prawns in a blanket), these little guys were crispy on the outside with salty bacon wrapped prawns on the inside and served with sweet and sour sauce, yum! Next up was one of my favorites, Tom Kah Kai, a soup of course! It was so good, a lovely balance of creamy coconut milk with a cut of lemongrass and lime juice and chunks of chicken and straw mushrooms strewn throughout. They even topped it off with some fried chili peppers and chili oil. 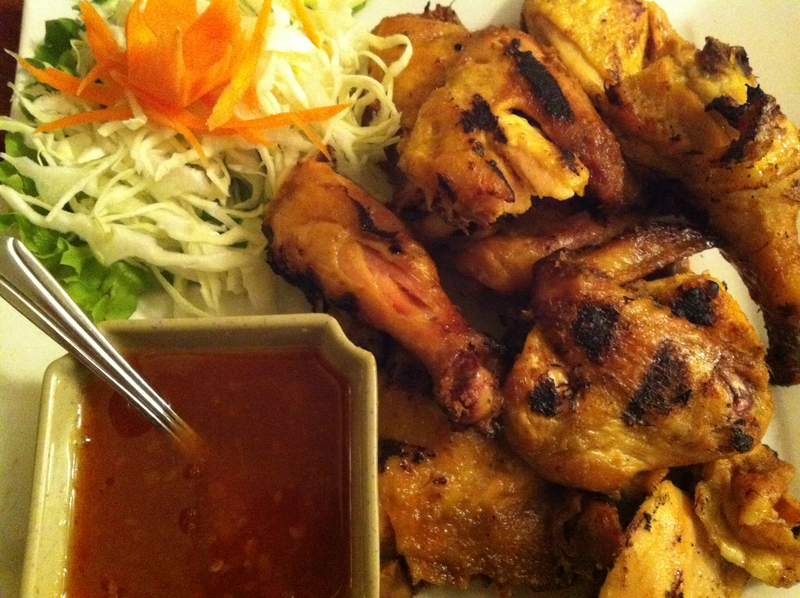 Our first entree was a Thai style BBQ chicken, something I have never had before but was excited to try. The meat was juicy and flavorful, I could have eaten it all but was holding out for our next dish. This last dish we picked from the Northern Thai section of the menu, Khao Soi, egg noodles with a creamy curry sauce and delicate pieces of beef. Although this dish may not look that appealing, it was delish! Our dinner was wonderful and to think it cost the same as what we had been paying for sandwiches on the strip! If you are in Las Vegas and want to get some really good Thai, I definitely suggest the trip to Lotus of Siam. That place looks fantastic Joya. I'm always looking for new and orginal places to check out when i'm in Vegas.